Reverend is planning to go into the studio in December 2012 and January 2013 for a total of eight days to record our very first full-length album, but we can’t do it without your help! 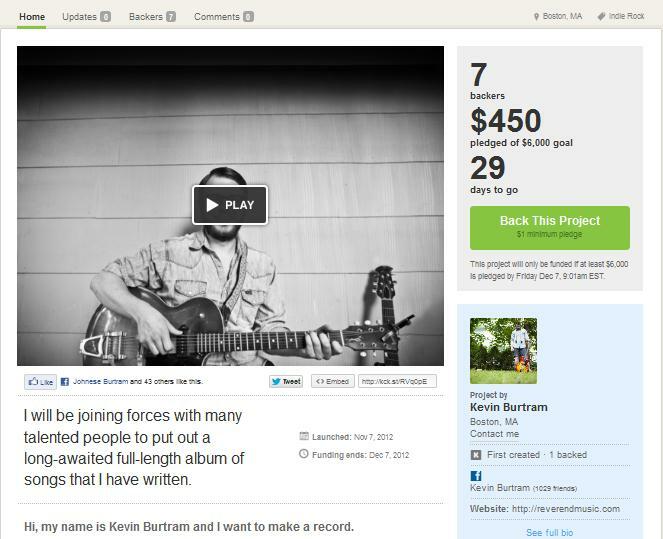 We’ve just launched a Kickstarter fundraising page and need $6,000.00 by 9:00 on December 7, 2012. If you’re a fan of Rev and independent music in general, please consider supporting the project here (compressed link to put on your Twitter/Facebook/Whathaveyou: http://kck.st/RVq0pE). Thanks for the love! UPDATE: On December 7, 2012, thanks to the amazing generosity of our friends&fans&family, Reverend was able to raise a total of $7,585 – $1,585 over our initial goal of $6,000. Our deepest thanks to everyone who gave so generously – it’s because of you that we are able to make this record! For updates on the progress of the record, check out the blog and follow our Facebook page. If you are still interested in supporting the record, send us a message!